Students get to meet Gaston, the friendly puppet who only speaks French. Two children, Lucille and Thierry find Gaston in the attic and take him on lots of adventures. 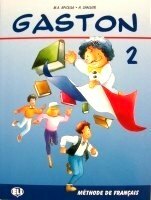 With his charming character and creative imagination, Gaston makes learning a pleasure. Efficient, practical and involving, this course has been developed following the experiences and research of the authors themselves....more..
Students get to meet Gaston, the friendly puppet who only speaks French. Two children, Lucille and Thierry find Gaston in the attic and take him on lots of adventures. 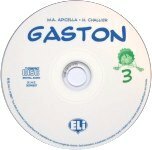 With his charming character and creative imagination, Gaston makes learning a pleasure. Efficient, practical and involving, this course has been developed following the experiences and research of the...more..
More delightful stories of Gaston the puppet and his friends Lucille and Thierry. Together they go off to discover the world around them. During these adventures, students follow the funny exploits of Gaston in different everyday situations, including life in the busy city. This clear and comprehensive guide takes the teacher step by step through the course, offering numerous...more..
More delightful stories of Gaston the puppet and his friends Lucille and Thierry. Together they go off to discover the world around them. 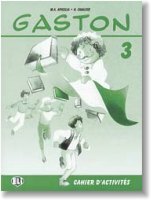 During these adventures, students follow the funny exploits of Gaston in different everyday situations, including life in the busy city. This clear and comprehensive guide takes the teacher step by step through the course, offering...more.. In this final volume, Gaston the puppet learns even more about the world around him. He goes on holiday with his friends Lucille and Thierry, he meets other people, plans future projects, goes shopping. The three characters are always together and find themselves in amusing situations. Beautiful photographs illustrate the most famous French people and places: including Jeanne D'Arc, the...more..
A colourful and entertaining starter level course, based on multisensory learning. Sticker activities encourage students to participate directly in the learning process. 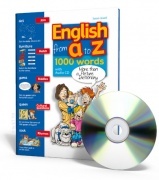 An easy to use guide which highlights clearly and in detail how to take advantage of the course. Full of ideas on fun activities, in depth use of materials and cultural background information. The guide is perfect...more..
A colourful and entertaining starter level course, based on multisensory learning. Sticker activities encourage students to participate directly in the learning process. 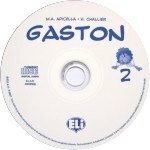 Avant Gaston also includes a teacher's guide and CD audio. The student's book is divided into 6 units, plus unit 0 which serves as a preparatory and introductory unit to the French language. Each unit...more..
A colourful and entertaining starter level course, based on multisensory learning. Sticker activities encourage students to participate directly in the learning process. 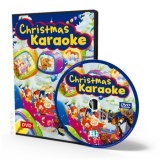 The CD contains easy, traditional, French children's songs. It offers an enjoyable way to introduce elements of civilisation, helped by the use of mime and rhythm. Original...more..